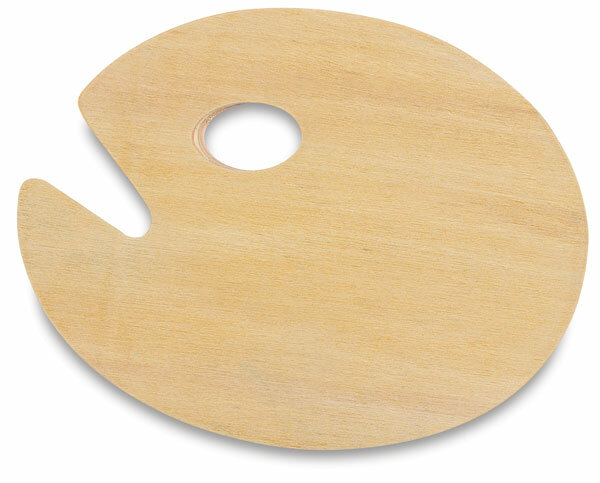 Richeson Wooden Palettes are available in three styles and a range of sizes. The underside of the thumbhole is reinforced with wood for extra stability, so the palette doesn't sit flat on surfaces. Unless otherwise noted, Richeson Wooden Palettes may be used with the right or left hand.